Is Bitcoin Currency the New Economic Future? In an article from Inman News, a real estate brokerage based in New York called Bond New York has announced that it will accept the popular internet currency bitcoins as a form of payment. The brokerage says it thinks it’s the first brokerage to accept the digital currency and cited a number of reasons why: reduced or nonexistent processing fees, security reinforced by what they called “military-grade cryptography, fast international payments, identity protection and it works anytime, anywhere. Are Bitcoins Even Considered a Legal Form of Currency? Bitcoins are in fact considered a legal form of currency. A Texas man was accused of massive bitcoin-based fraud, pushing bitcoins into the spotlight in July 2013 when a federal judge ruled that they should indeed be regarded as currency or a form of money. Bitcoins are a form of decentralized digital form of currency created in 2009 by someone known as Satoshi Nakamoto. Because they are decentralized, they are not controlled by a bank like our U.S. dollars. Bitcoins are run on, managed and secured by a peer-to-peer network similar to BitTorrent, a file sharing network. They also do not rely on a centralized server to process transactions or store coins. 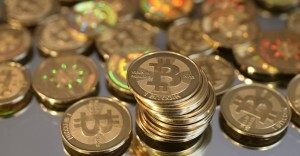 Users can, however, keep bitcoins in a digital wallet stored on their computer. Bitcoins are mined. An algorithm releases a set number of bitcoins into the network at preset intervals. 50 bitcoins are released every 10 minutes, according to this article by Wired Magazine. The mechanical pace is meant to secure sustained growth of the monetary supply without interference from third parties—like a central bank, which can lead to hyperinflation. To safeguard against fraud, the bitcoin software maintains a fictitious public ledger of every transaction (identities are kept a secret to ensure fairness). 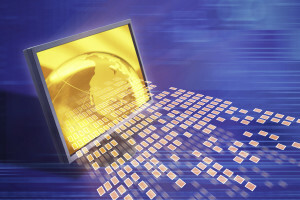 Some users’ computers verify transactions by solving cryptographic puzzles usually in the form of complicated math problems. The first user to solve each puzzle receives 50 new bitcoins. Satoshi made the interface so users could not hack into it and change the amount of bitcoins earned after solving a puzzle or mine an unusually large amount of Bitcoins and funnel them into a specific account. The coins can be stored in a variety of places—a digital wallet on a desktop computer or a centralized service in the cloud. If users choose to store them in a digital wallet on a desktop computer, they should trust the provider of the digital wallet service not to cheat, or go out of business, taking their savings with them, says The Economist. Once you’re ready to spend your freshly mined coins, it’s as easy as sending an email or opening up a word document. Are Other Real Estate Companies or Services Using Bitcoins? In August of 2013, property management software provider Rentulations claimed to have immediate plans to accept the digital currency. And in December, rental listings site RentHop announced it would also accept the bitcoins, even enticing customers with a significant discount if they paid in them. Bitcoins are known to fluctuate at an unpredictable rate. When RentHop announced it would accept the digital currency on Dec. 16, one bitcoin was worth $760, according to RentHop. Two days later, after the Chinese Bitcoin exchange (BTC China) announced it would not accept deposits for the immediate future, the value of one bitcoin reportedly plummeted to almost half its previous value at $422. This lack of consistency poses a risk to companies, especially if they keep the amount of bitcoins they charge constant, instead of keeping it at a fixed amount. When asked about the drop, RentHop Co-Founder Lawrence Zhou said he wasn’t worried because the currency is still fairly new and the “regulatory environment is still being flushed out”. Since the drop, the rate has climbed back up to around the price it was worth on Dec. 16. CNN Money posted an article in November 2013 on eight things you can buy with bitcoins. Click on the link to check them out and stay tuned for up-to-date news on bitcoins and technology in the real estate industry from REfindly.